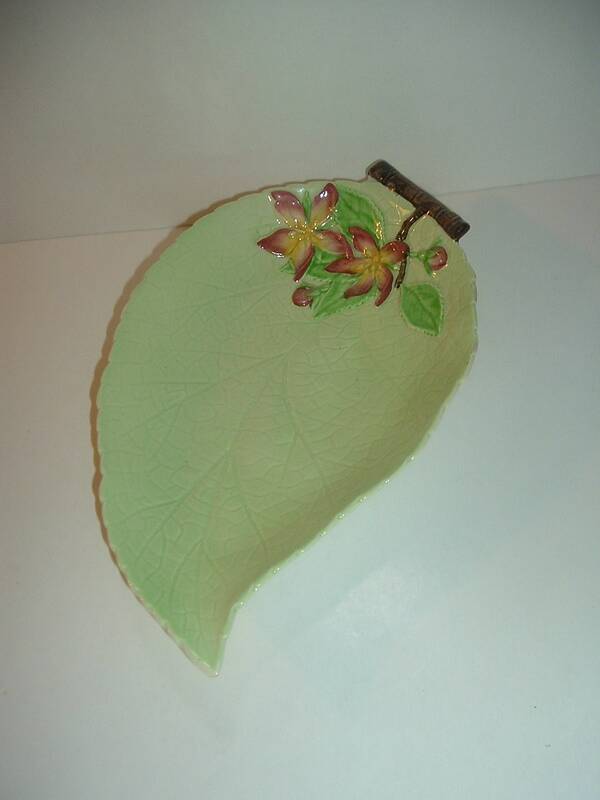 This Carlton Ware leaf dish 10"L and 6"W (measured each way across the top rim). There is a little depth to it, as if it can be used for a relish type dish or small server of some sort. I notice overall fine light glaze crazing Top and under side). No chips, no cracks, and no wear or scratching. 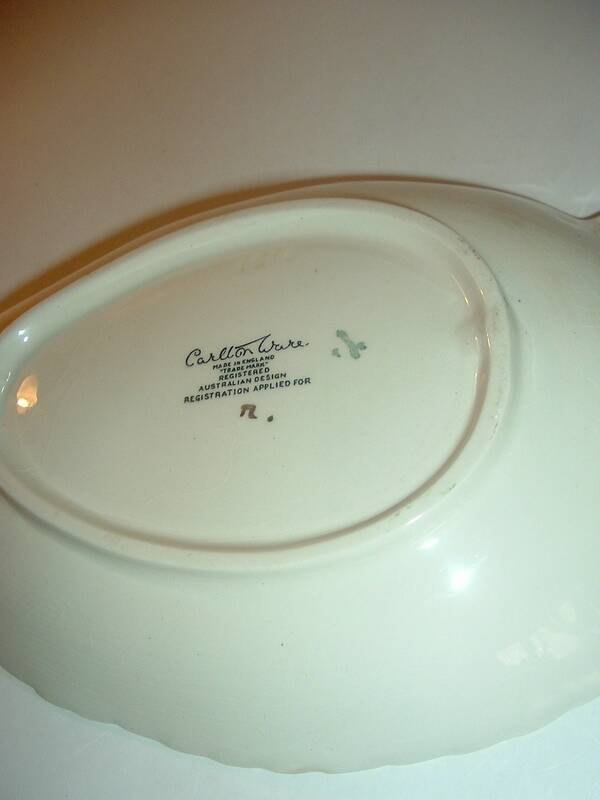 The backside is signed Carlton Ware Made in England Australian Design . A nice piece! I gladly combine shipping.